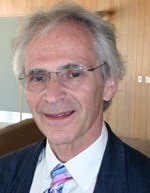 Professor Marc Feldmann has made a seminal contribution to our understanding of the pathogenesis and treatment of chronic autoimmune and inflammatory disorders. Over the past 20 years his pioneering studies on the role of cytokines like TNF in autoimmunity have led to development of TNF blockade as a novel and effective therapy for patients with resistant rheumatoid and Crohn's disease. His work therefore is a prime example of "translation" of basic science into clinical practice.